Pictures of the Conn family. Because these pictures are so old, I have not reduced the resolution on them. As a result, they will take a few minutes for them to load completely. Please be patient. By the way, I would not have been able to share these pictures were it not for the generosity of my brother, Lyle. Thank You Lyle! Four generations of the Conn family. This picture was taken in 1964 or 1965. Sitting, is my Great Grandfather, William Alexander Conn. Standing on the left is my Grandfather, William Edgar Conn. 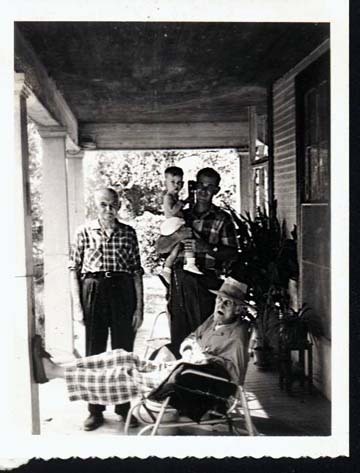 Standing on the right is my father William Alexander Conn and he is holding my brother William Turner Conn. They were on the front porch of the Conn household in Hattiesburg, MS. This picture was taken in 1964 or 1965. 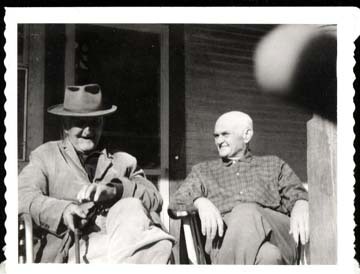 On the left is William Alexander Conn. On the right is his son, William Edgar Conn. I don't know when this picture was taken. 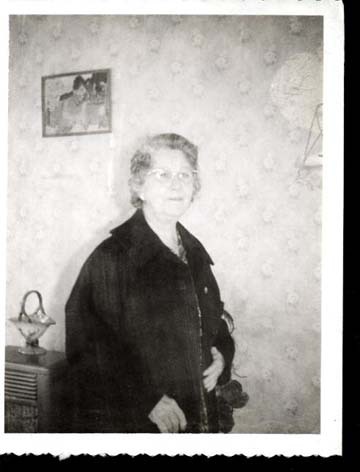 This is my Grandmother, Bazzie Lillian Harvison, wife of William Edgar Conn.